Amsterdam 1648. Full title: 'Hantonia Sive Southantonensis Comitatus Vulgo Hantshire'. 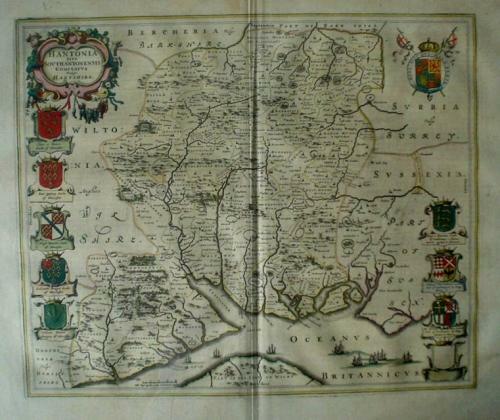 A very attractive Blaeu map of Hampshire. The map is embellished with royal coat of arms, and also of earls of Winchester and Southampton. Latin text on verso.